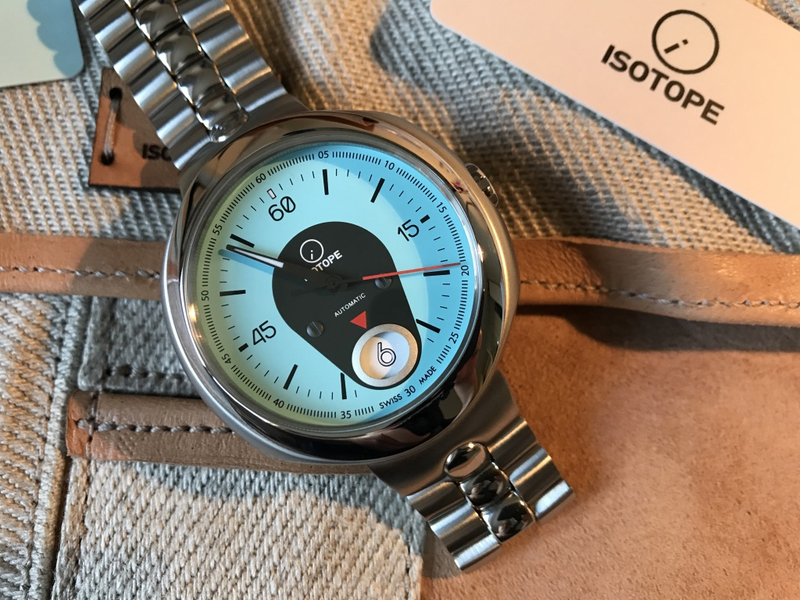 Tempus Fugit: isotope Rider Special Offer! I have shared some of the news about isotope and their new jumping hour watch over the past few months. and receive a stainless steel bracelet as part of your order at NO EXTRA COST! This represents a $250 value (the cost of purchasing the bracelet option as part of a standard order). isotope will donate 10% of the purchase price (pre-tax) to the Global Autism Project! We promote the acceptance and integration of individuals with autism worldwide by training communities in culturally relevant, sustainable practices. My understanding from isotope that this special offer is in effect from now until World Autism Awareness Day - April 2nd, 2018 or until stock runs out, whichever comes first. Again - Tempus Fugit is NOT RECEIVING ANY money in exchange for helping to promote this purchase opportunity with isotope. My sincere hope is that those that appreciate the watch and wish to get a special upgrade will appreciate the opportunity, and also help raise money and awareness for a very special organization working to help some very worthy people.